TO EASE the suffering of commuters in northern Cebu, a one-hectare port that will serve both passengers and cargoes will soon rise in Poblacion, Liloan, Cebu. The Topline Express ferry serving the Cebu-Mactan and vice versa route will also soon provide a free shuttle ride for their passengers from the Mactan Wharf to the Mactan Economic Zone (MEZ) and vice versa. 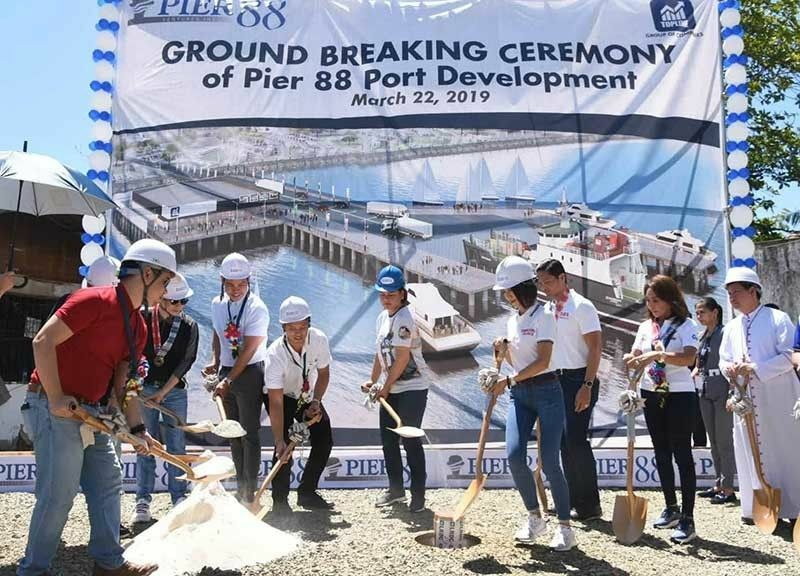 Eugene Erik Lim, president and chief executive officer of the Topline Group of Companies, said the port will help the more than 15,000 workers in Liloan and the neighboring towns of Danao and Compostela in avoiding the traffic congestion. “For this port development, it’s more of easing traffic congestion in Metro Cebu and to connect other ports to this port. We’re also catering to ferries for passengers as well as cargoes and Roros,” Lim said during the groundbreaking ceremony on March 22, Friday. In the tourism aspects, Lim said they want to spread the opportunities brought by local and foreign tourists in Liloan. “Right now, tourism is actually situated in Mactan. So we want to spread the sunshine to Metro Cebu,” he said. 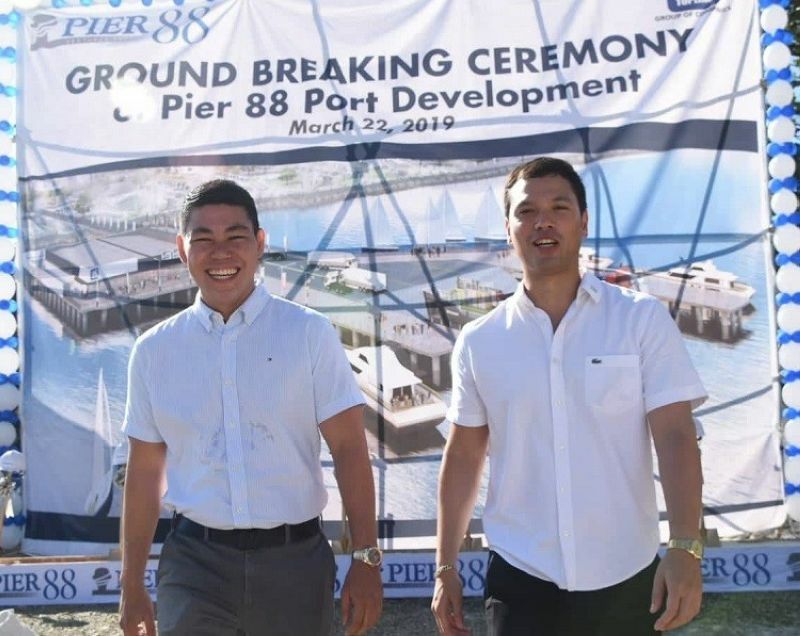 Kyle Gregory Uy, vice president and chief operating officer of Pier 88 Ventures Inc., said the development will bridge the gap from Liloan to Cebu City and Mactan. “It’s basically addressing connectivity,” he said. The pier is located behind the La Consolacion College and beside the San Fernando Rey Parish in Poblacion, Liloan. It is targeted to be finished within six to nine months and will be functional by the fourth quarter of 2019 or early 2020. Three passenger ferries with 300-person capacity will be utilized that will have a route from Liloan to Mactan and Liloan to Cebu. There will be 10 trips daily per ferry. “It will cut the travel time from Liloan to Mactan within 30 minutes, while Liloan to Cebu will just be reached within 45 minutes,” Lim said. The company is pouring P1 billion in investment for the port which has three phases. Liloan Mayor Christina Frasco said the port development will usher in convenience for the thousands of commuters in her town and will also appeal to investors. “We would be very happy to invite and expect even more investors to invest in Liloan because the port will be an additional gateway to our municipality,” she said. For daily commuters, the port is a welcome development, offering a better option for efficient and faster commuting in Cebu. Karen Joy Reas, 23, who commutes to a university on N. Bacalso Ave., Cebu City to accompany her sister, said the ferry is a huge help for them. “It takes us one to two hours on the road. And it will take us longer if there will be accidents. So this will really ease up our stress in commuting to the city,” she told SunStar Cebu. Lim said they are also in the process of acquiring coasters to make it convenient for passengers to reach the ferry. “The first coaster just arrived and we’re still going to provide more that will eventually have a route towards the Mactan-Cebu International Airport,” Lim said. He said passengers continue to ride their ferry and that the figures are increasing. “When we started before, there were 500. Then it went to a thousand to 1,500. Now, we’re doing 2,000 to 2,500 passengers a day and we hope that it will continue to increase as we introduce the free coaster ride,” Lim said.